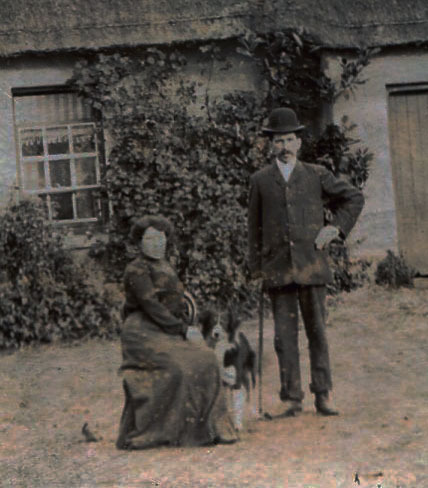 Billy 1827-1908 & Catherine Fanning nee Fogarty 1830-1875 outside their Clondoty house. 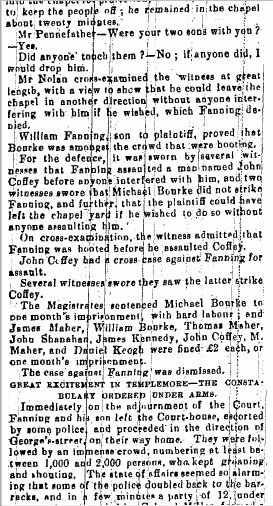 I heard from a fourth cousin in Tipperary who told me about the landgrabbing case involving William “Billy” Fanning from Clondoty Co Tipperary. 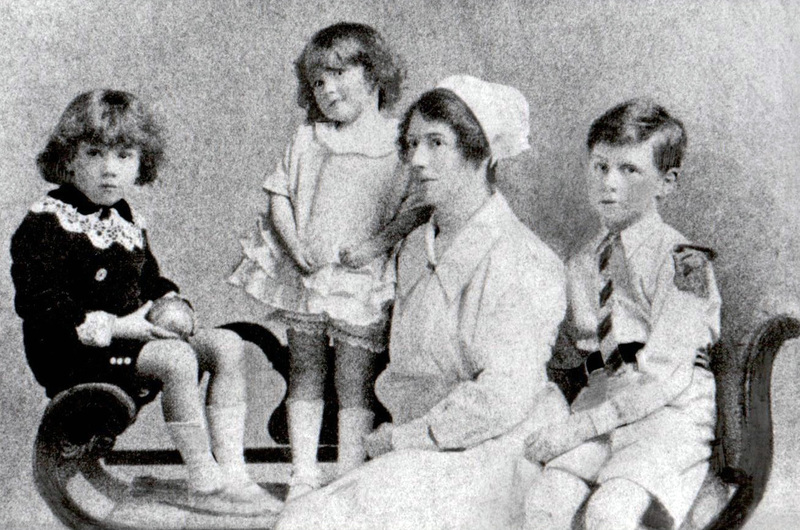 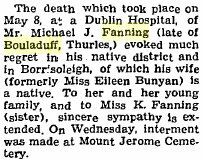 Her grandmother was Bridget Fanning of Lissaroon. 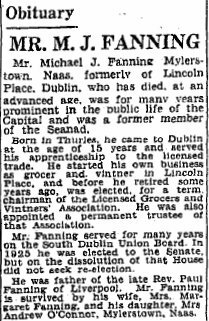 She told me that William Fanning, first cousin of my Bulla ancestor, William Patrick Fanning, was a considered a “land grabber”. 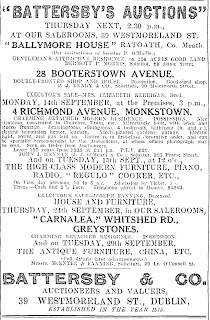 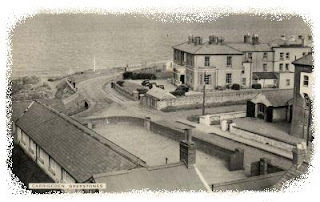 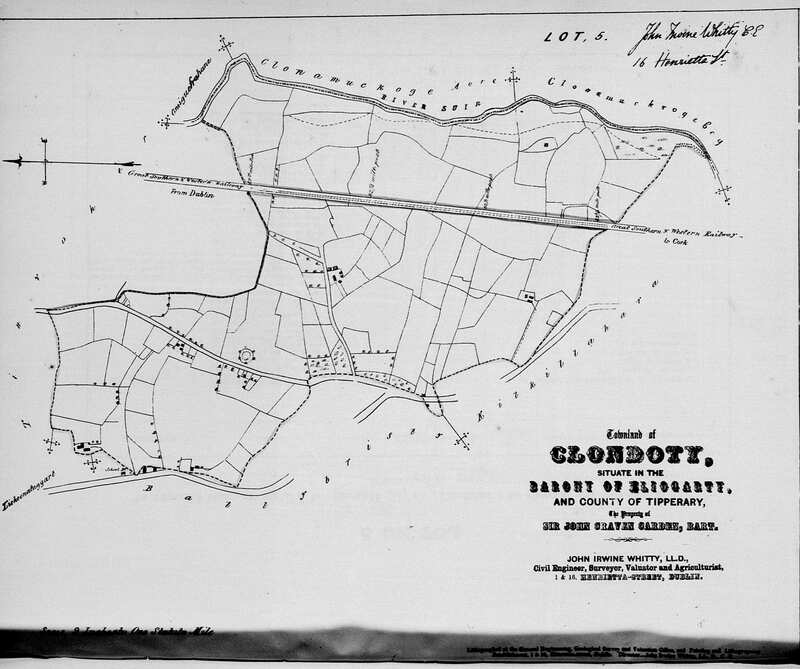 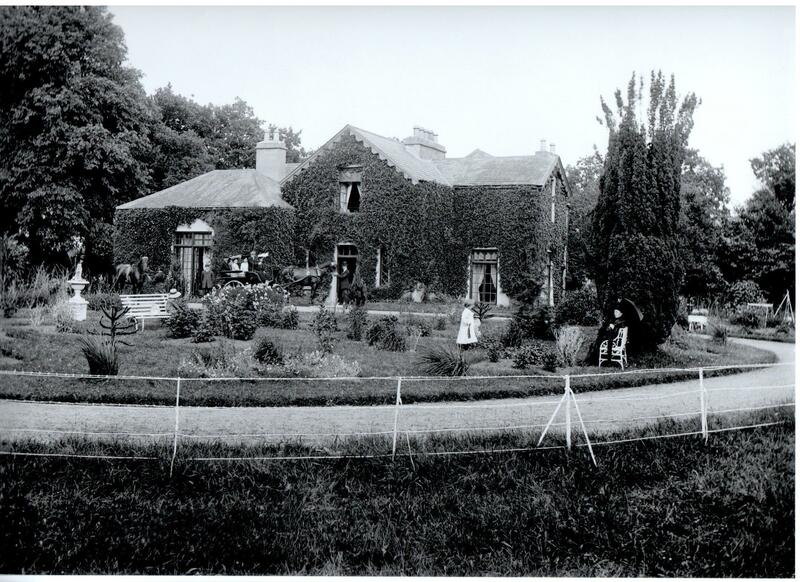 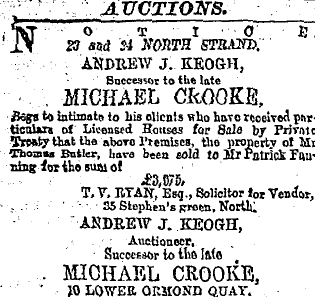 In 1885 he took over a farm in Clondoty that he was not entitled to. 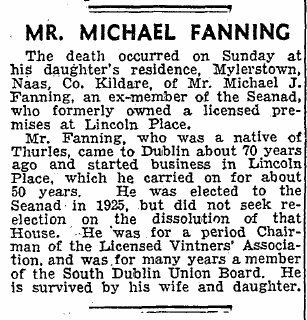 As a result there was a huge boycott on all the Fanning families. 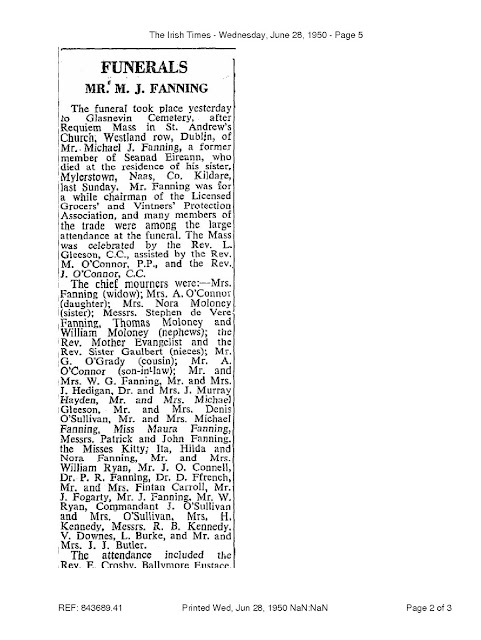 Delia says that the fact that many Fannings married their cousins was because of this boycott. 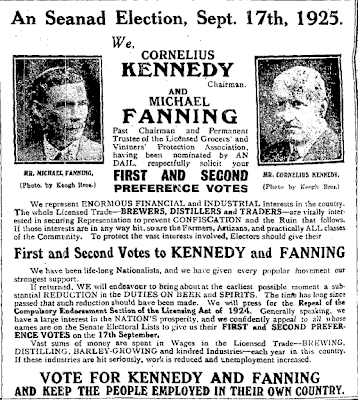 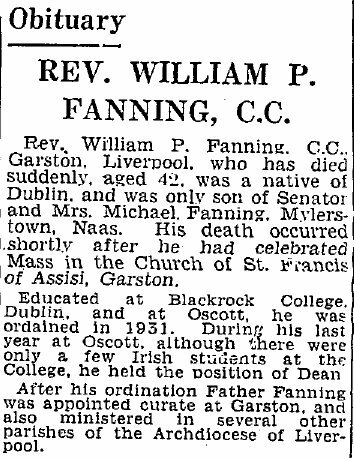 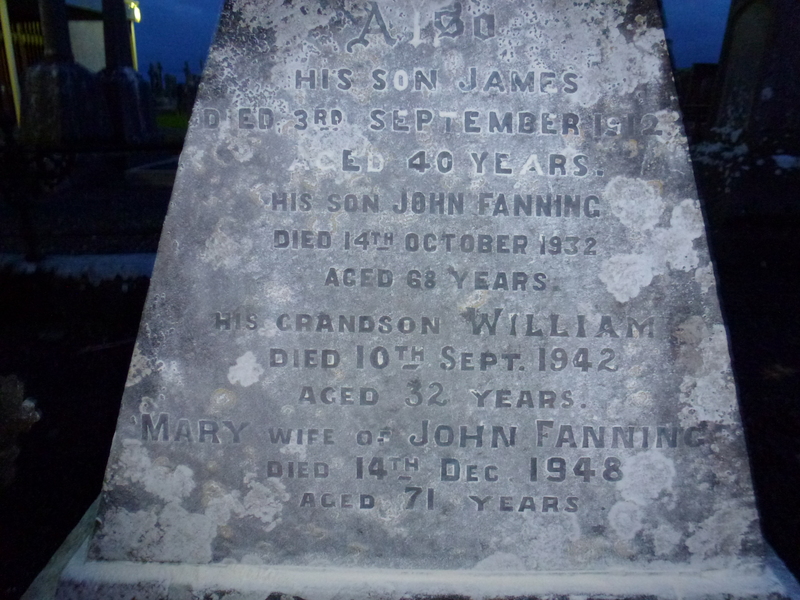 She also says that William Fanning, I think who would be the grandson, shot himself, age 30, as a consequence of the restrictions of the boycott. 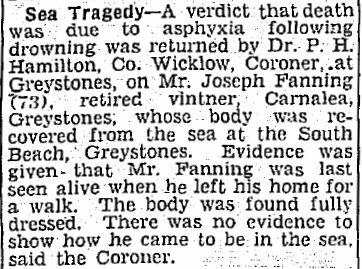 I have not been able to find any evidence of this suicide in the death records. 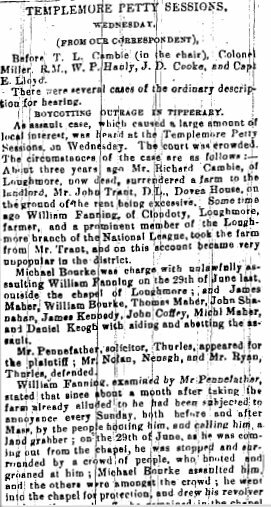 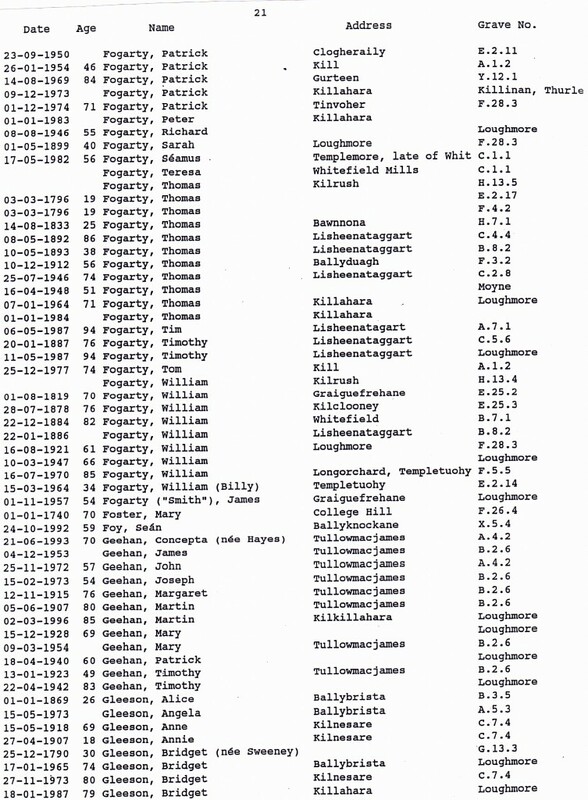 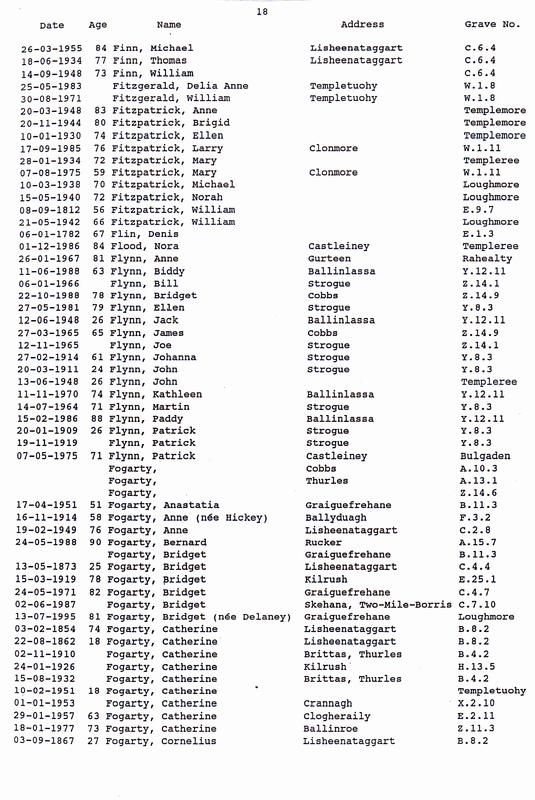 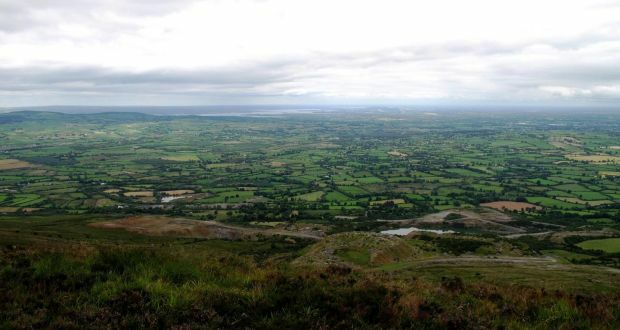 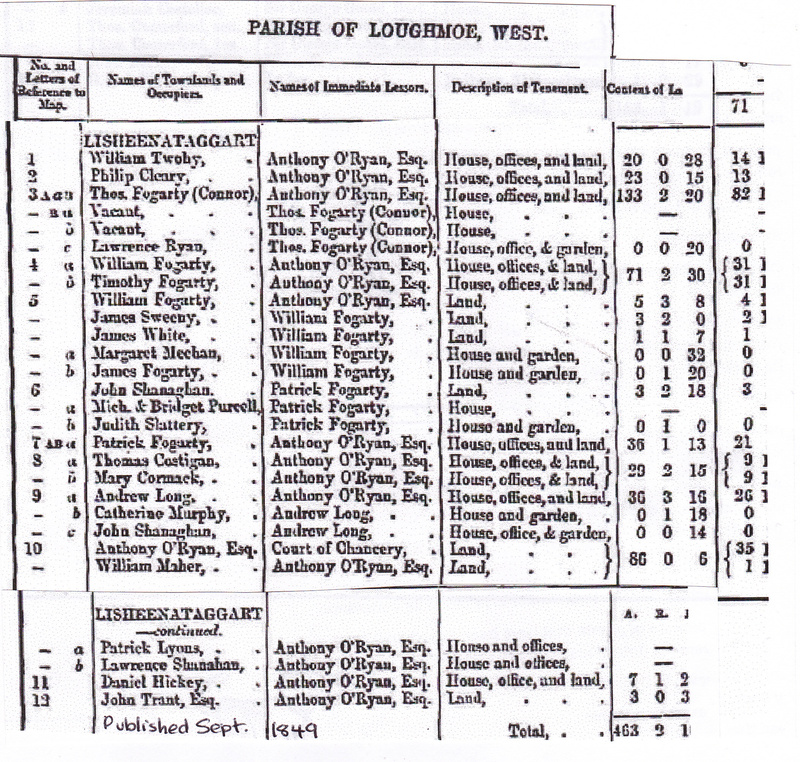 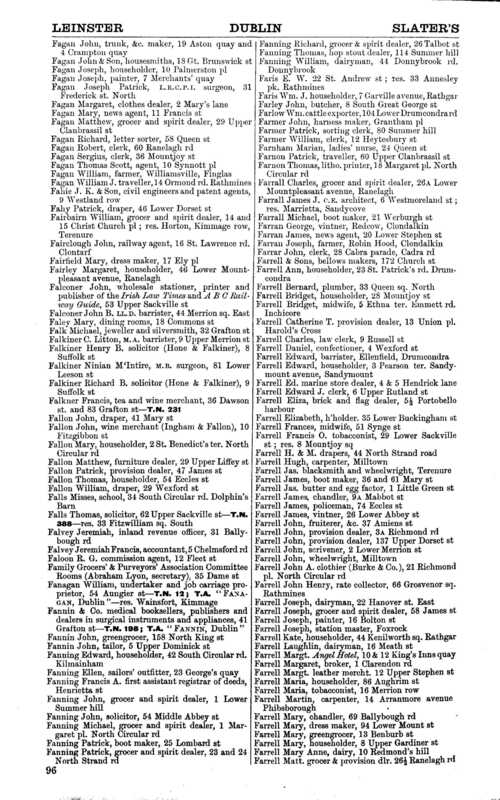 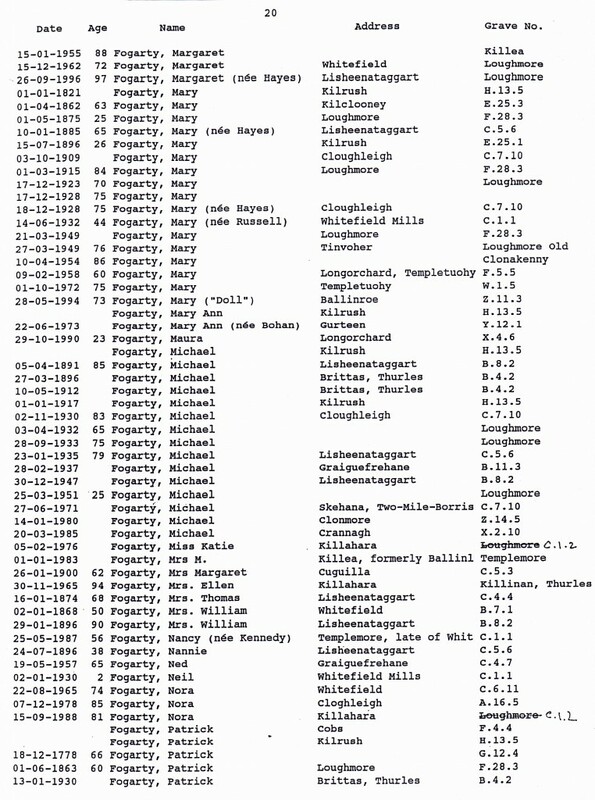 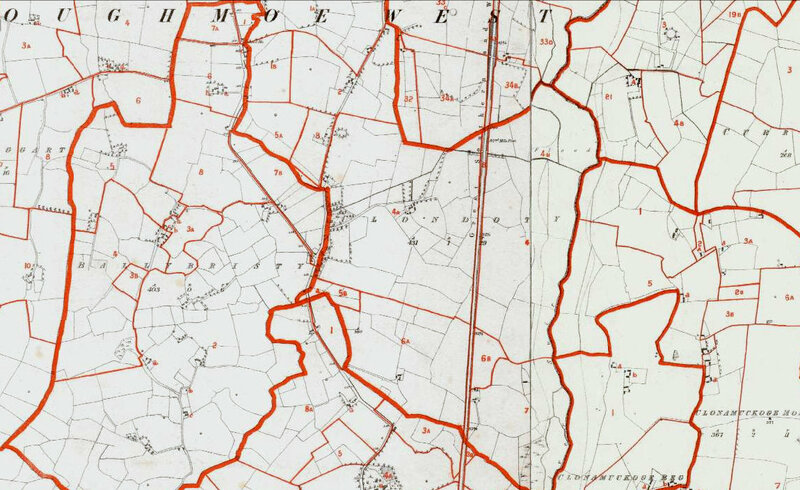 William Fanning of Clondoty who took the farm was a member of the Loughmore Land League. 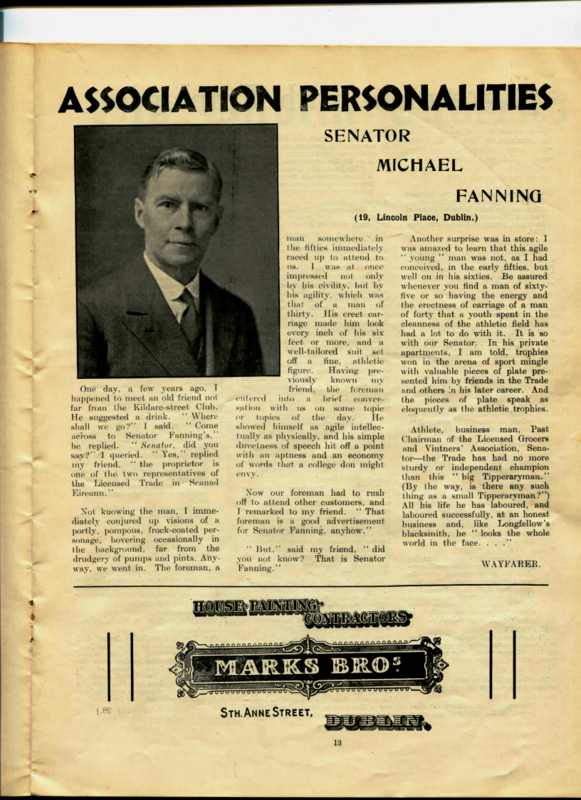 This enraged people who felt he had abused his position to better himself. 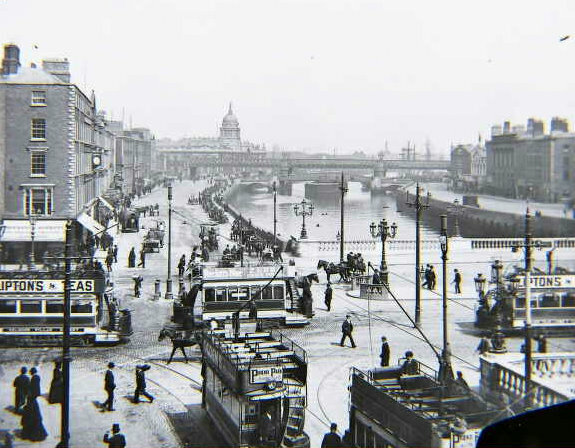 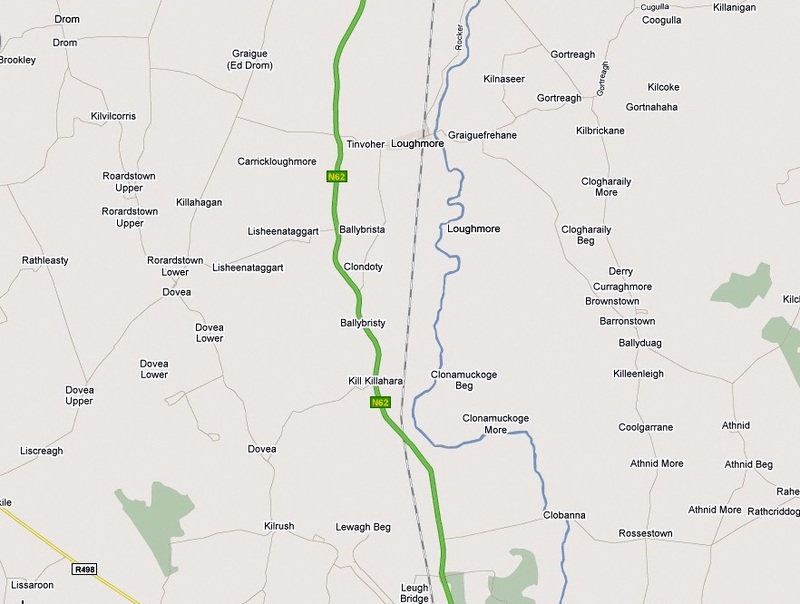 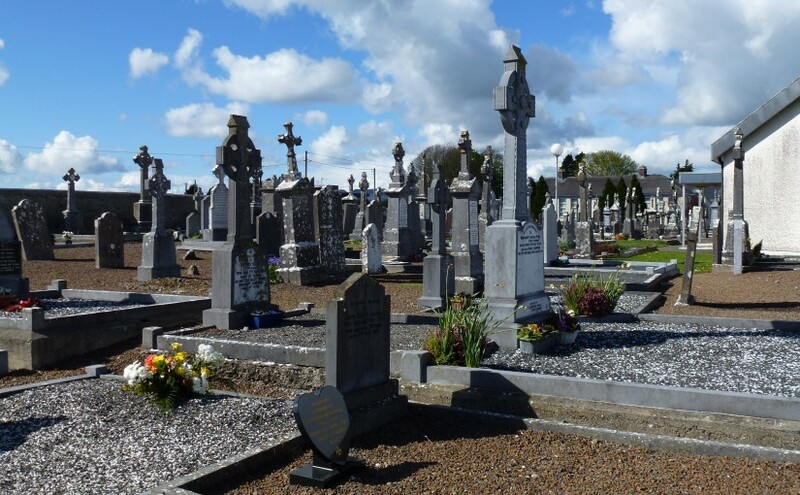 I have just added this Irish radio program. 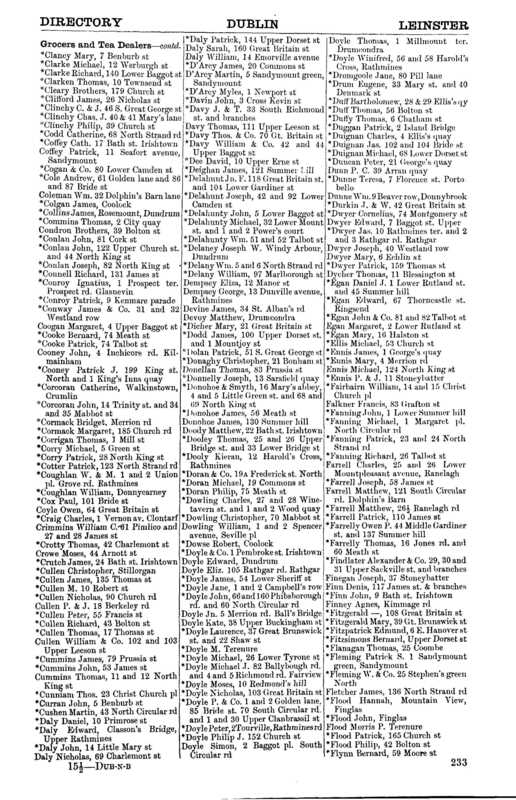 It takes a while to start. 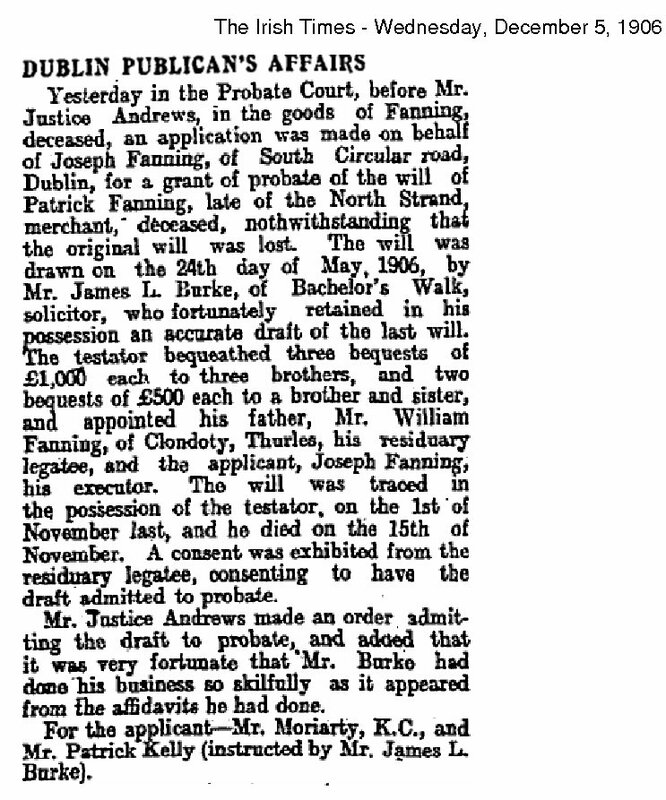 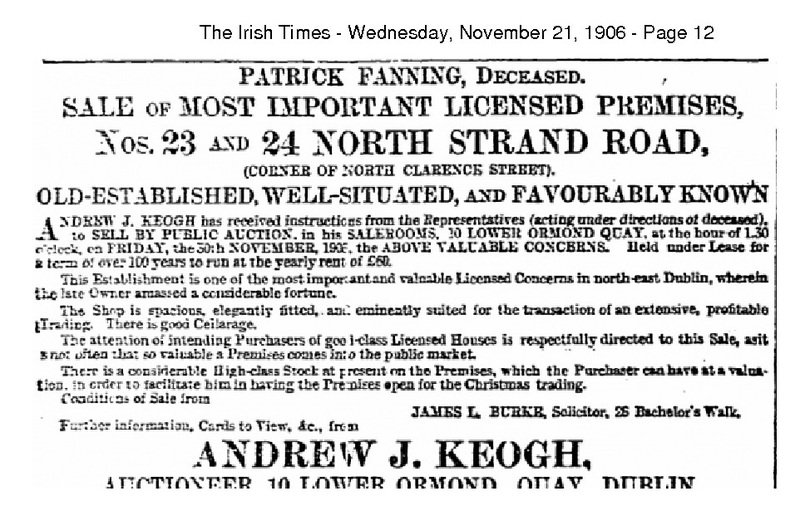 about the Billy Fanning landgrabbing case of 1885. 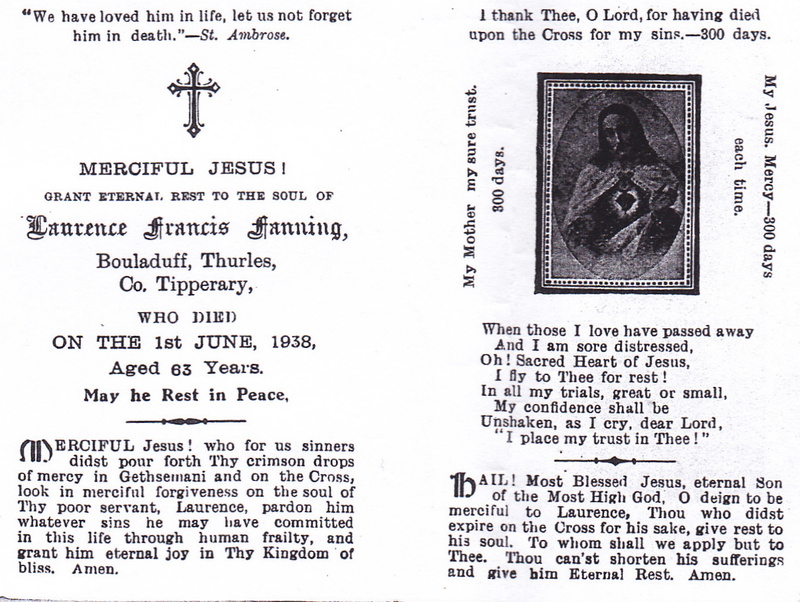 It was sent to me by a very kind Irish lady but I don’t know which station or when it was recorded. 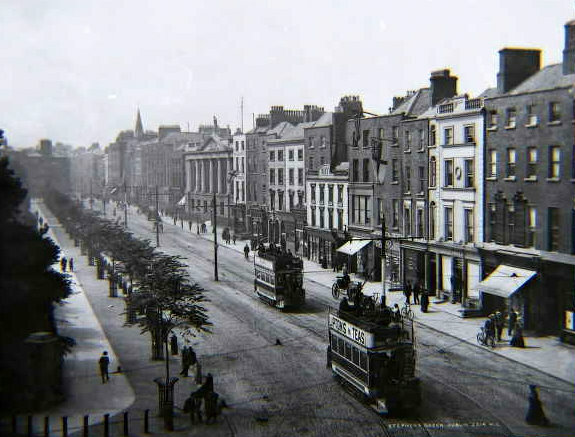 It is a really interesting discussion and runs for 14 mins and you get to hear lovely Irish accents and pronunciations. 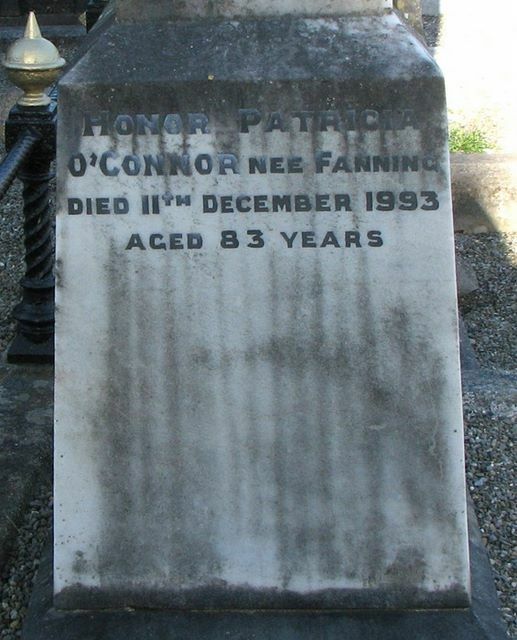 A descendant told me as a result of his taking this farm the entire Fanning family was boycotted. 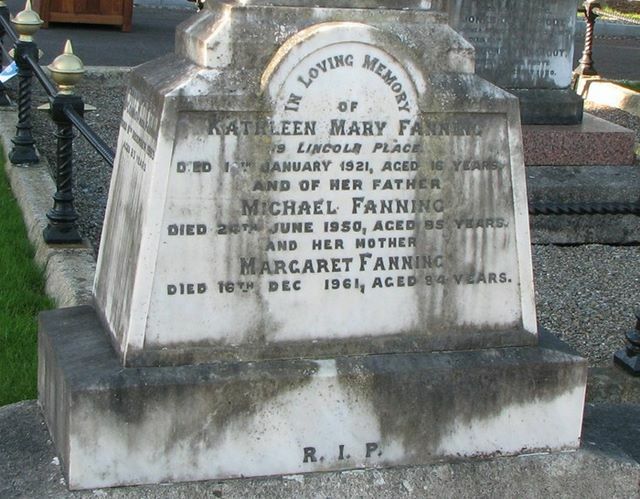 Sarah Fanning born 1816 was my gggrandfather’s sister. 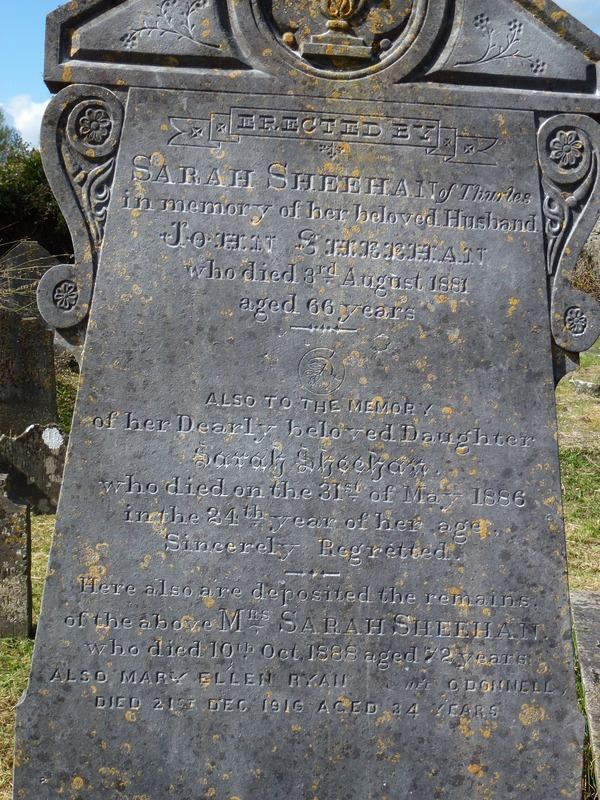 Sarah Sheehan is buried in St Mary’s Church graveyard Thurles Co Tipperary. 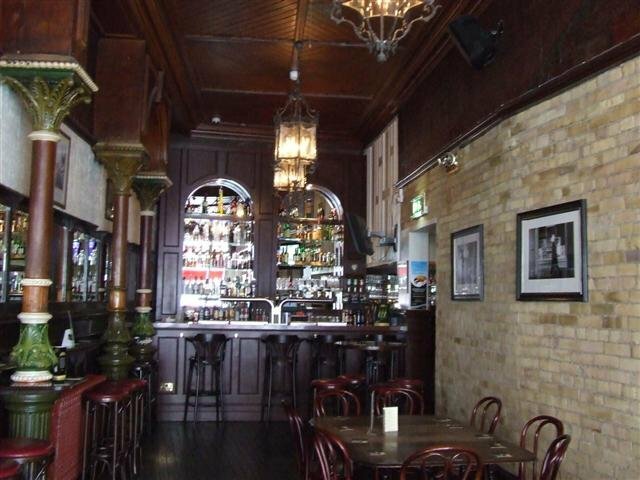 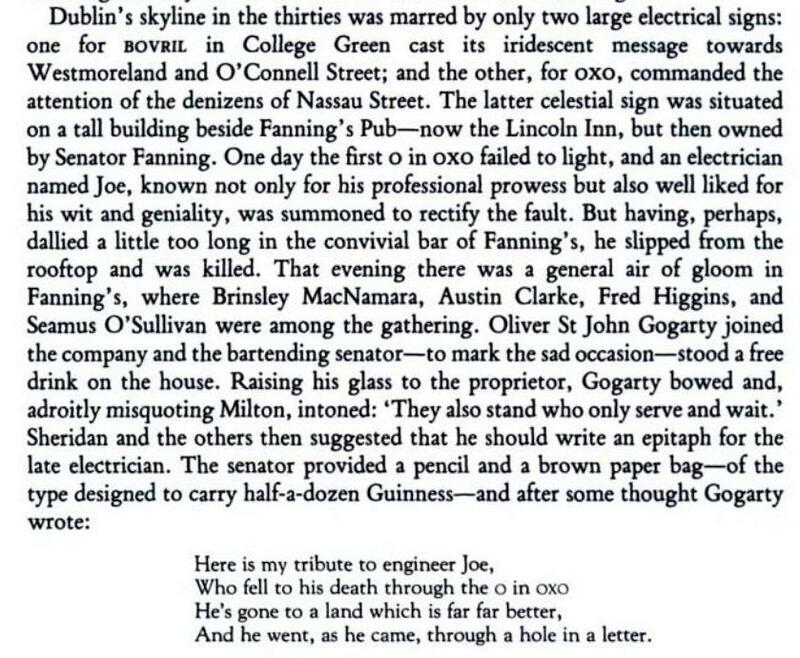 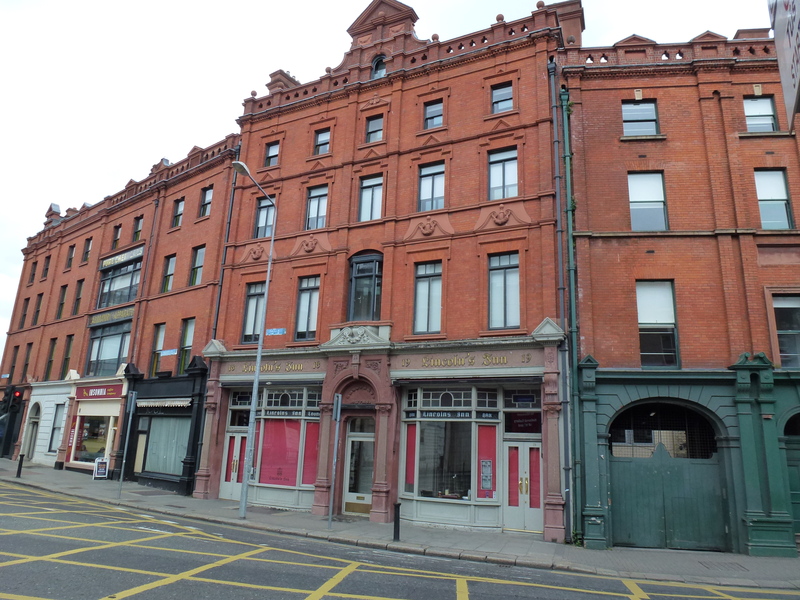 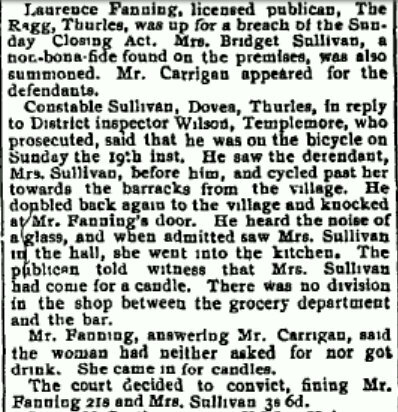 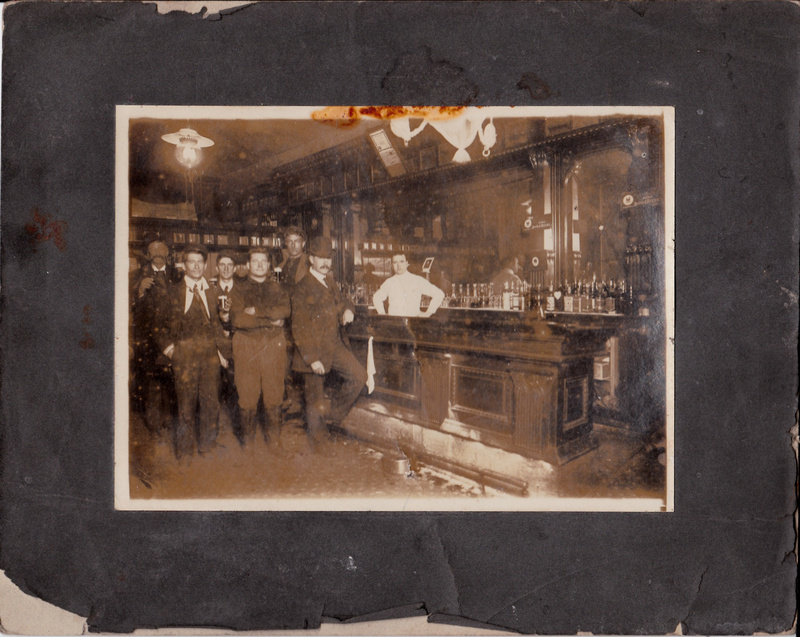 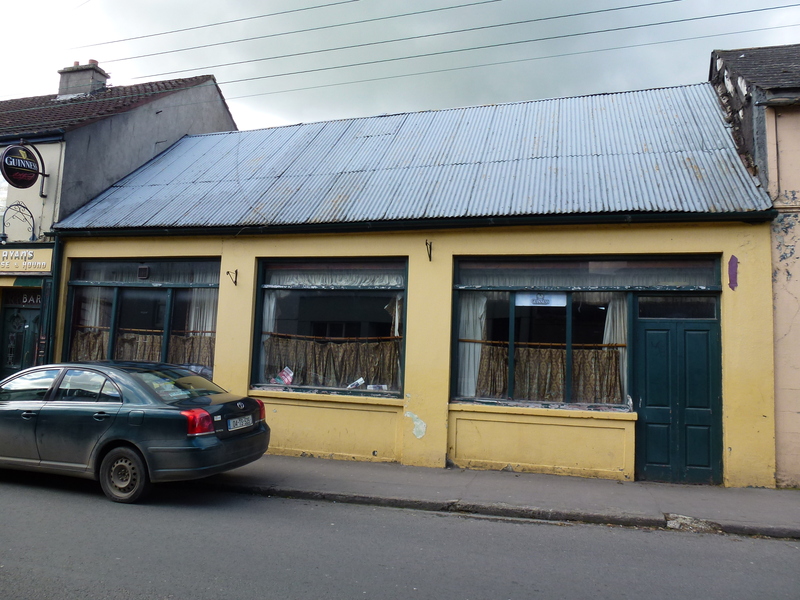 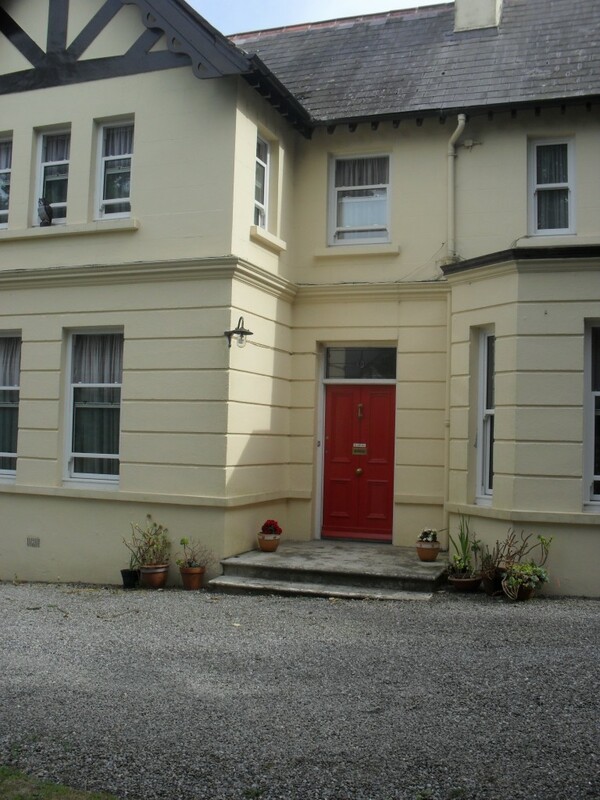 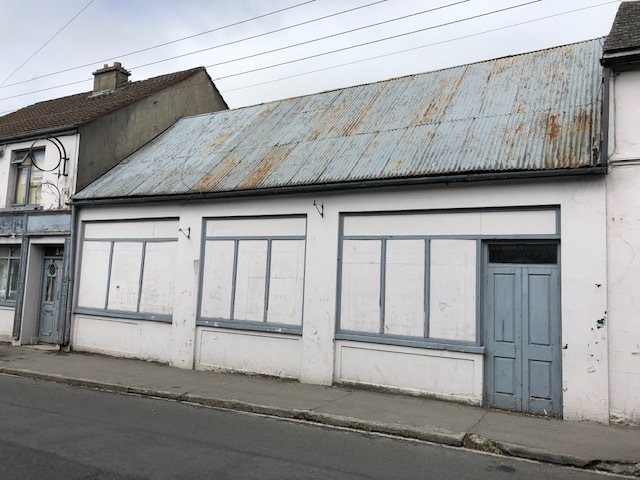 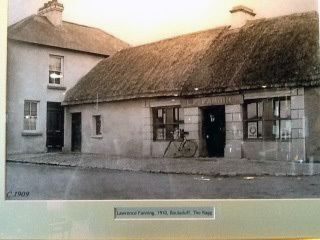 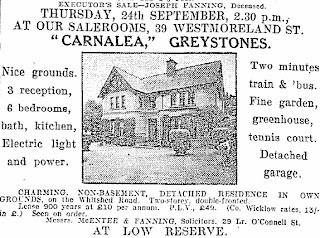 She and her husband John Sheehan had a grocery/pub in Quarry St Thurles. 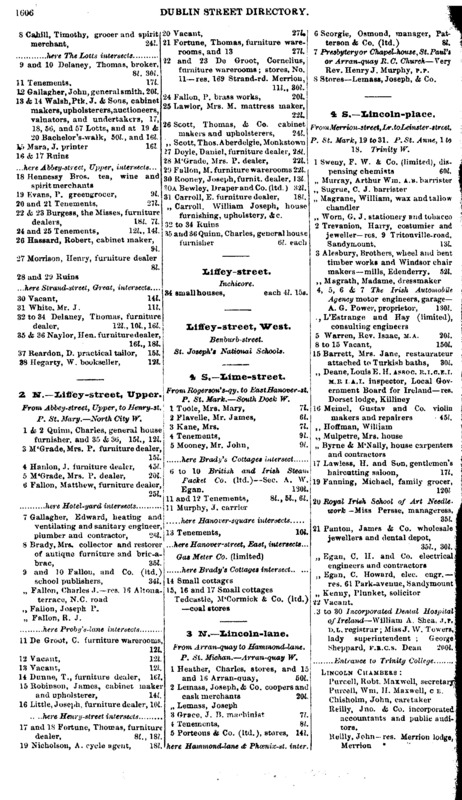 Quarry St was later renamed Mitchel St. 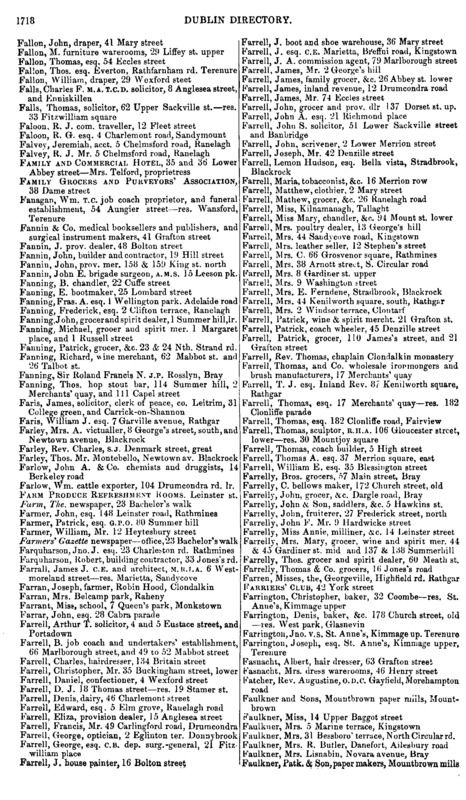 Quarry St ran parallel to Pike St which was renamed Kickham St. 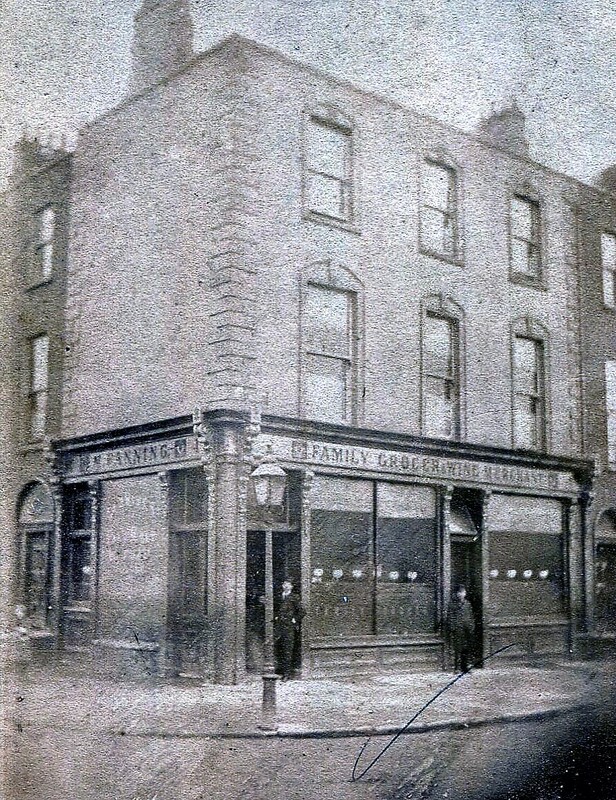 The two streets were linked together by Lime Kiln Lane later called Ikerrin Rd. 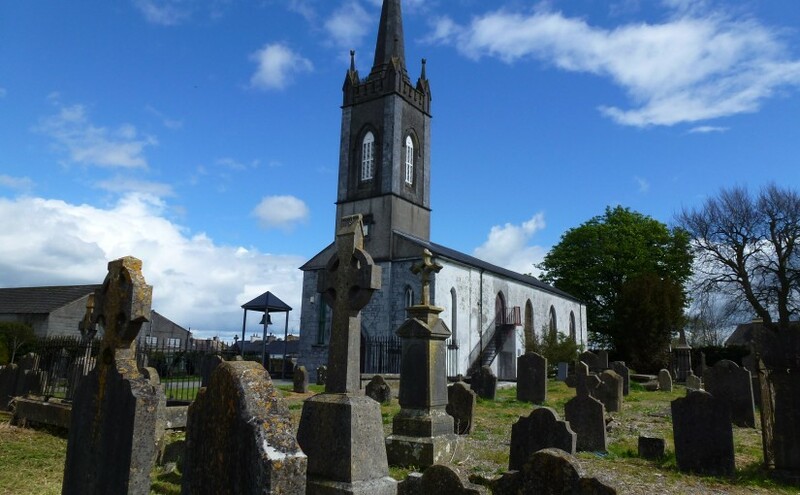 St Mary’s Protestant Church was erected in 1820. 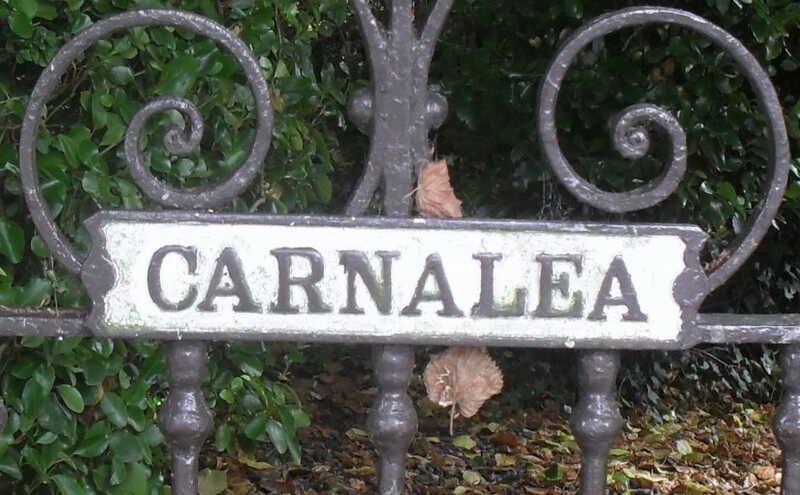 The original entrance to the church was in Lime Kiln Lane. 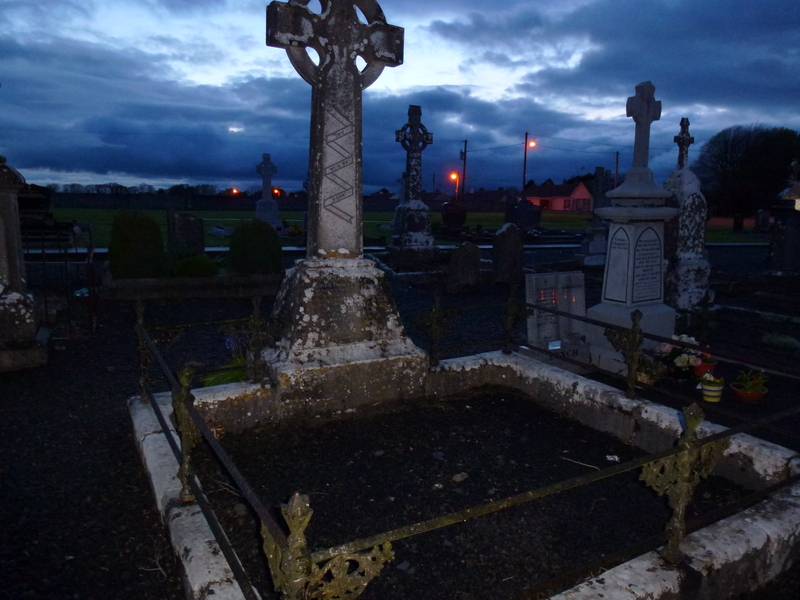 Both Protestant and Catholics were buried in St Mary’s graveyard. 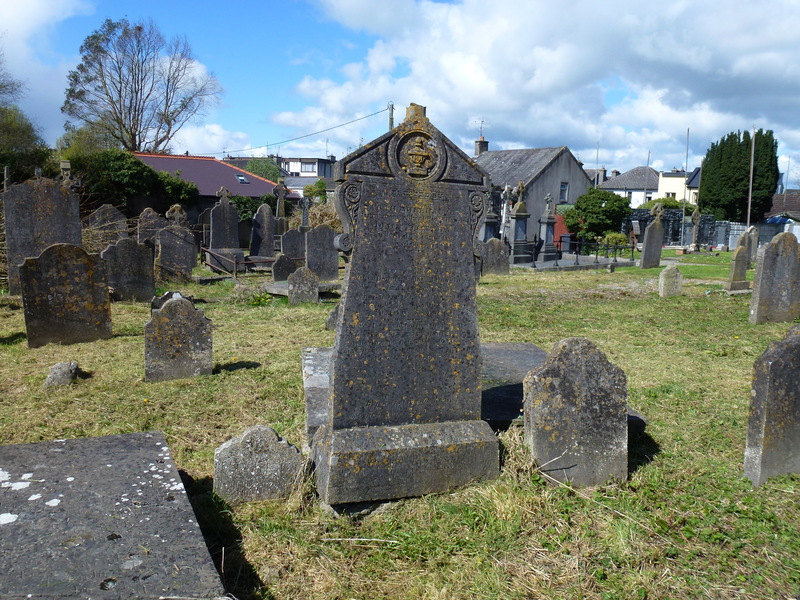 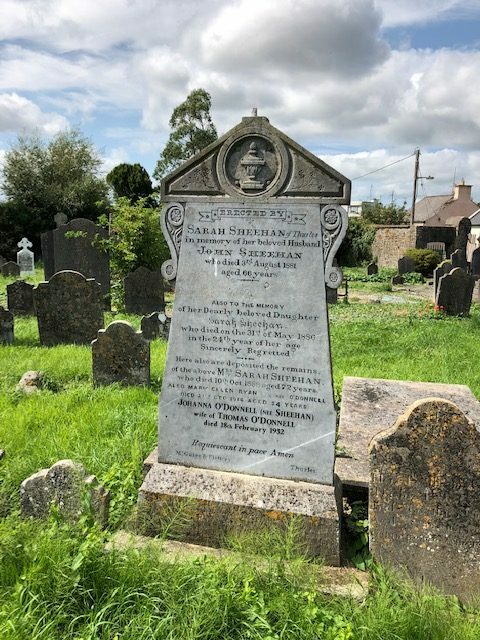 Erected by Sarah Sheehan of Thurles in memory of her beloved husband John Sheehan who died 3rd August 1881 aged 66 years. 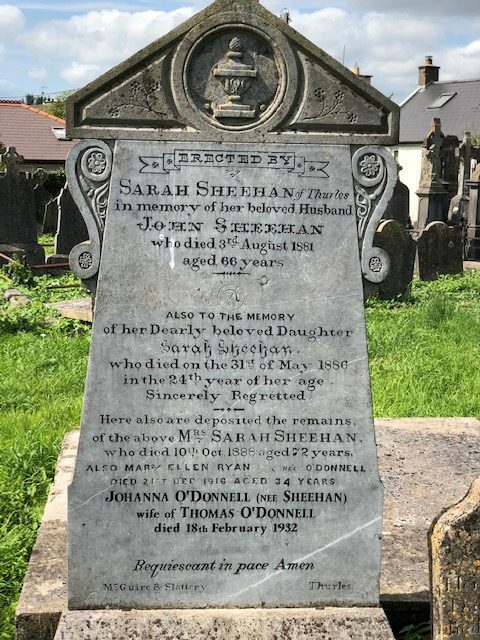 Also to the memory of their dearly beloved daughter Sarah Sheehan who died on the 31st May 1886 in the 24th year of her age sincerely regretted Here also are deposited the remains of the above Mrs Sarah Sheehan who died 10th Oct 1888 aged 72 years Also Mary Ellen Ryan nee O’Donnell died 21st Dec 1916 aged 34 years. 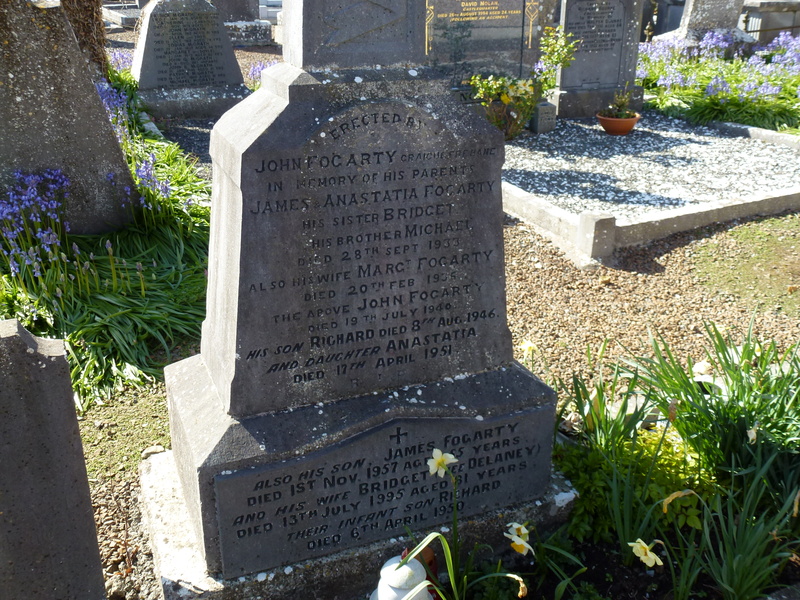 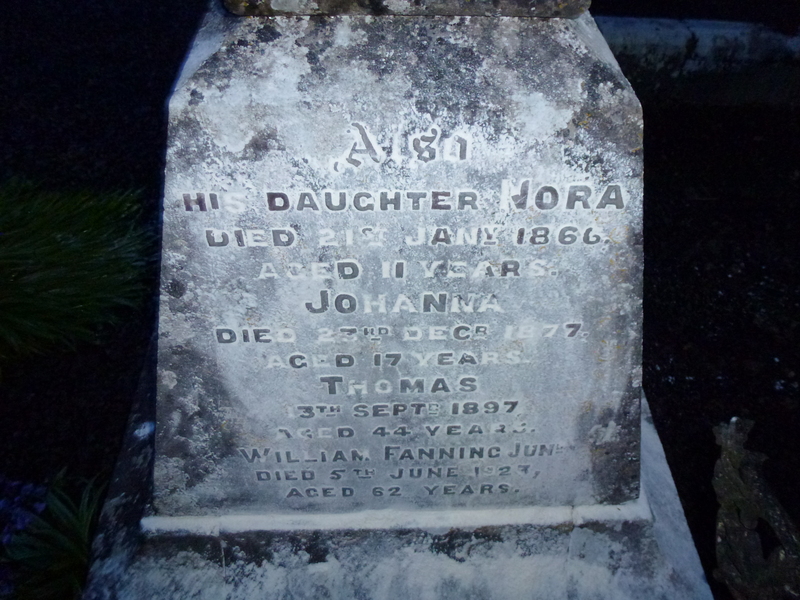 The Sheehan gravestone has been updated and Johanna O’Donnell nee Sheehan added. 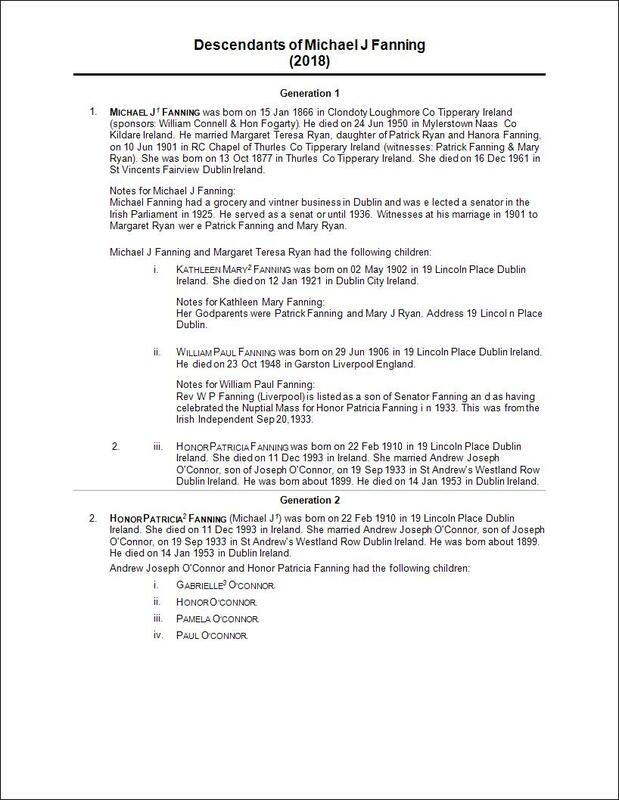 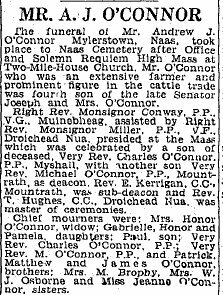 James Dwyer was married to Ellen Sheehan, daughter of Sarah Sheehan nee Fanning, sister of William Patrick Fanning, my great great grandfather. 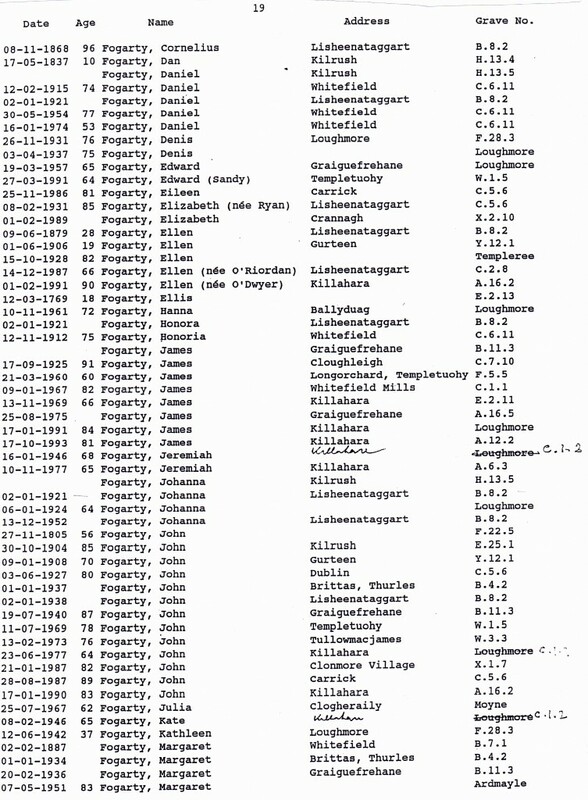 (Sarah and Sally are used for each other.) 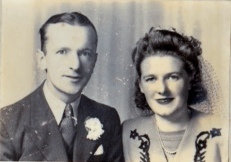 She would have been his niece. 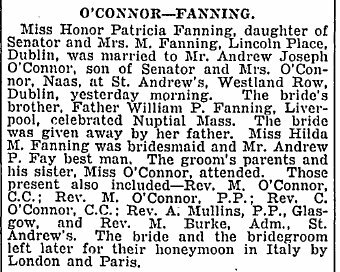 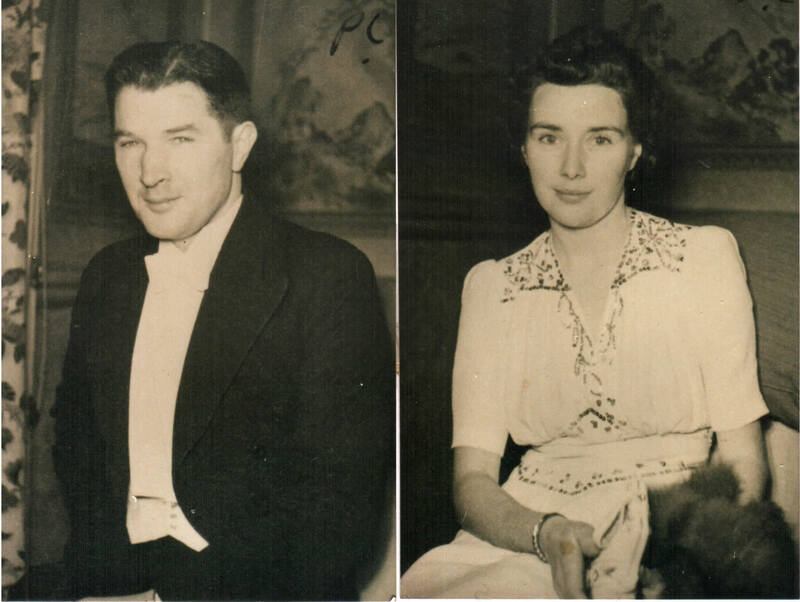 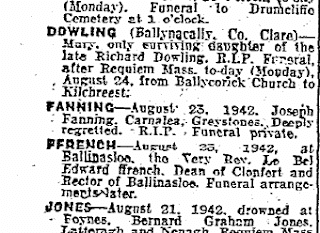 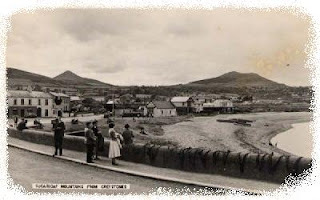 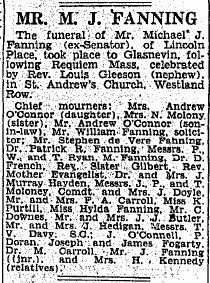 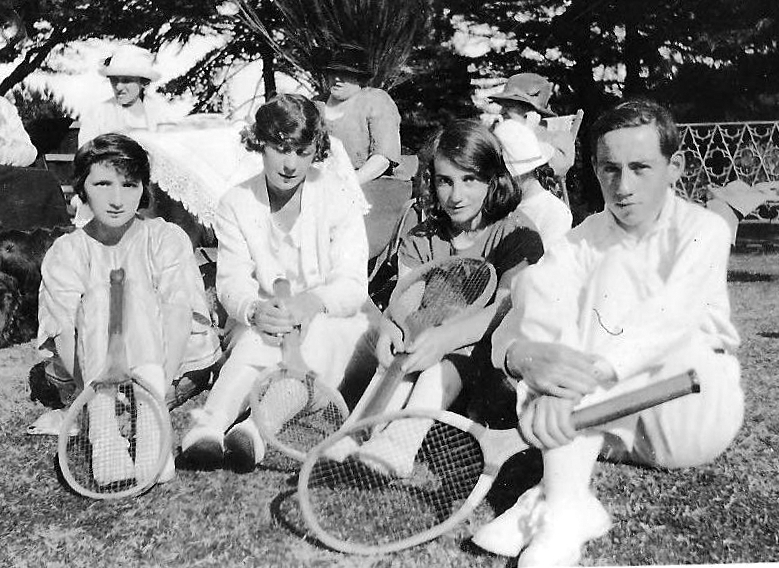 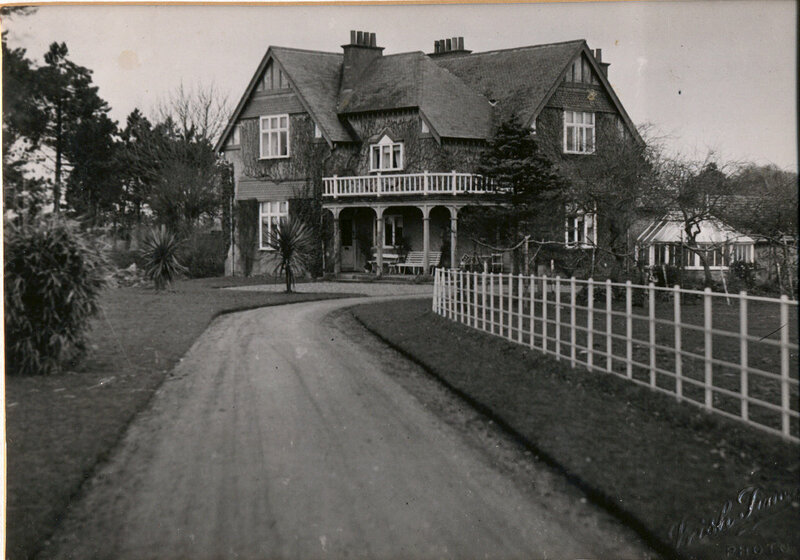 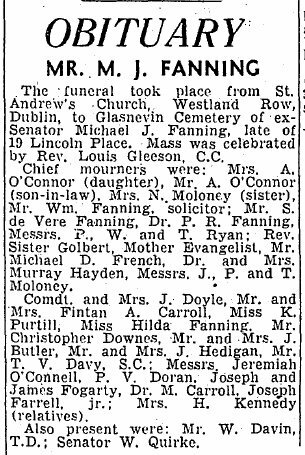 A few years later Ellen married her second cousin, Tom Fanning of Clondoty, Loughmore. 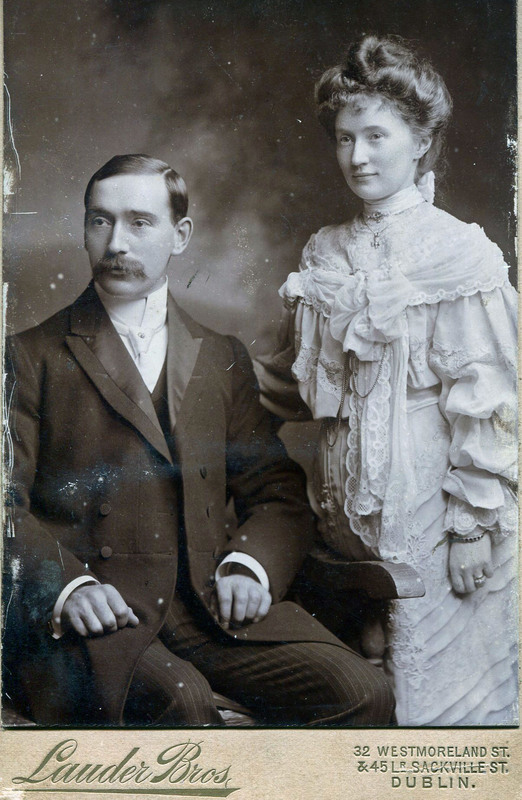 They were married on 1/02/1891. 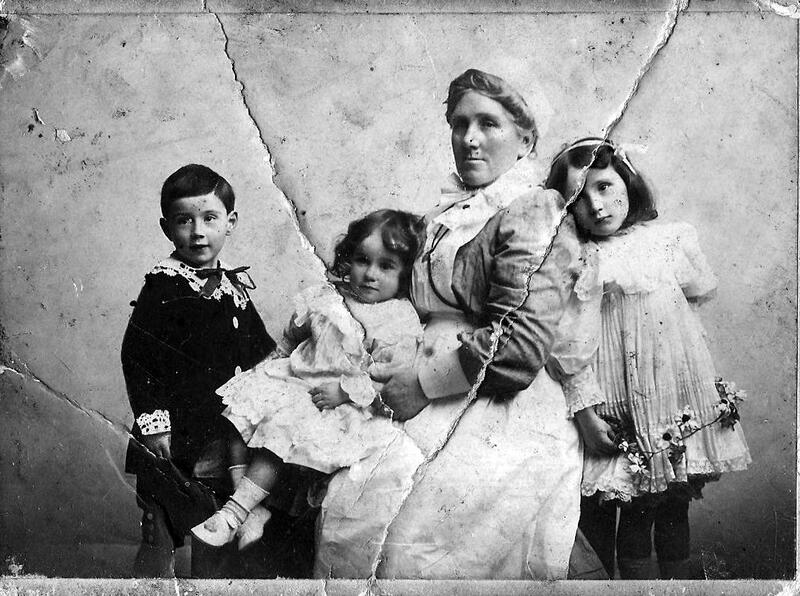 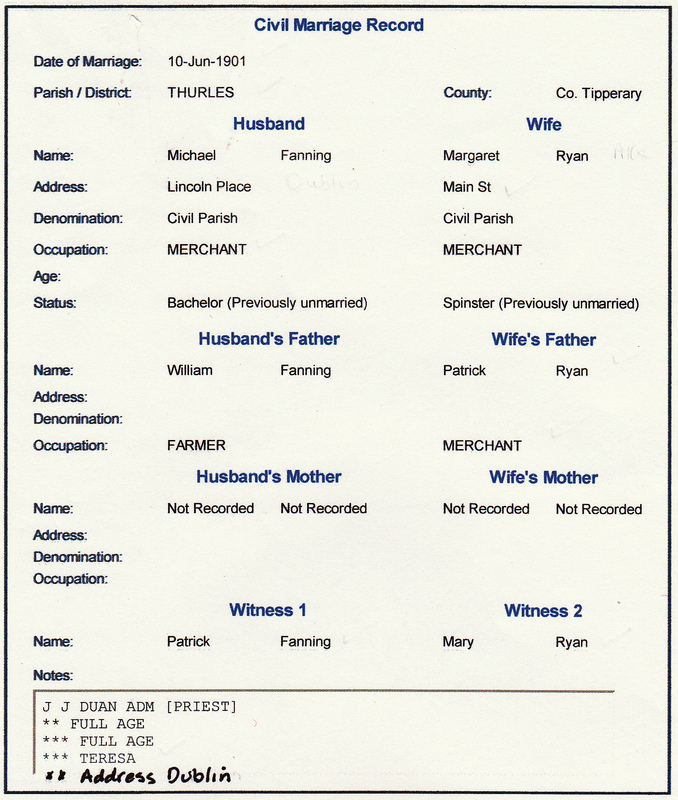 Thomas Fanning was a farmer and Ellen Dwyer nee Sheehan a shopkeeper at 112 Quarry St Thurles. 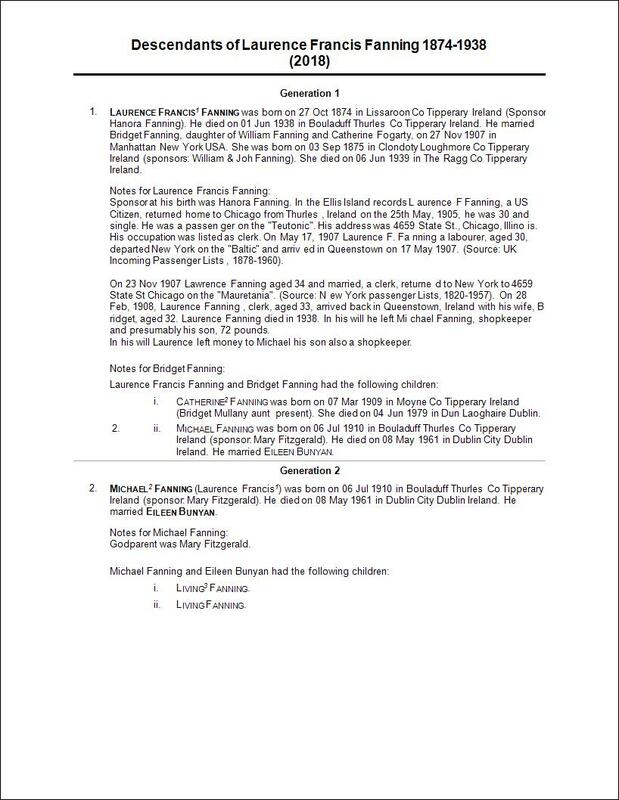 Witnesses were Michael Fanning and Ellen’s sister, Josie Hogan. 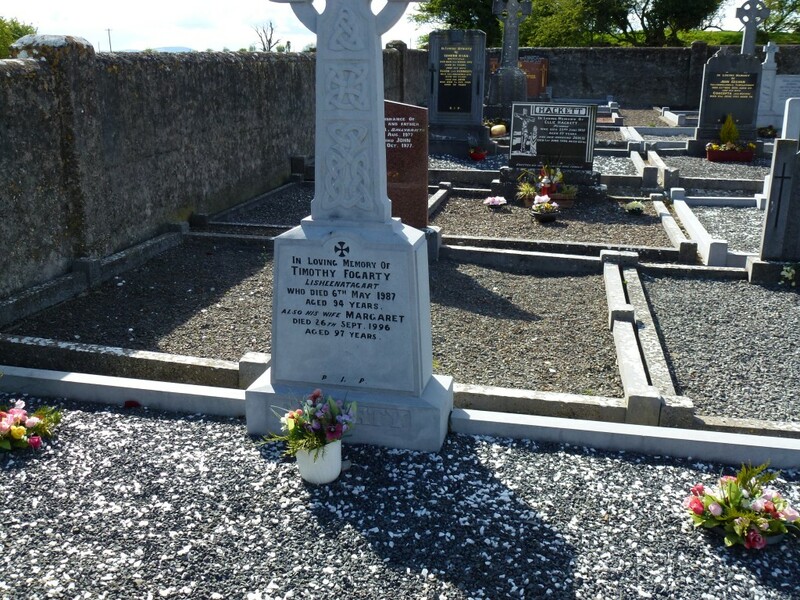 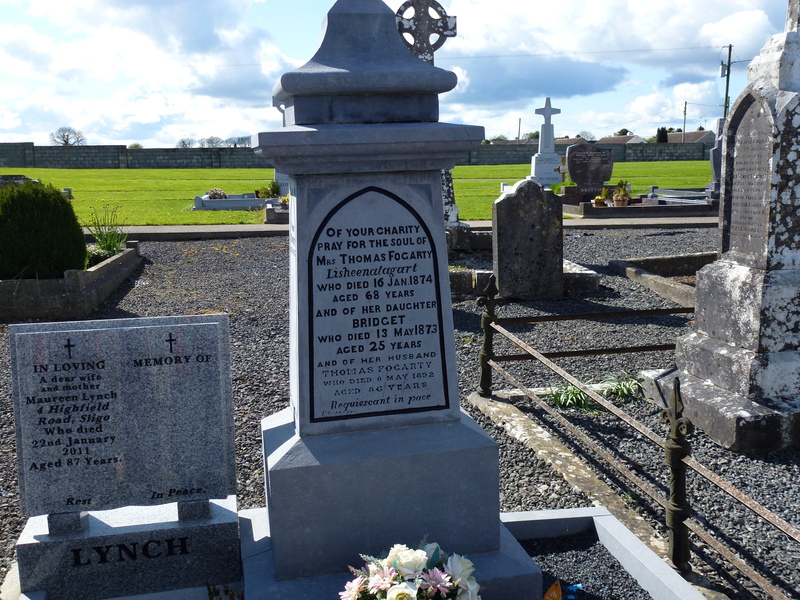 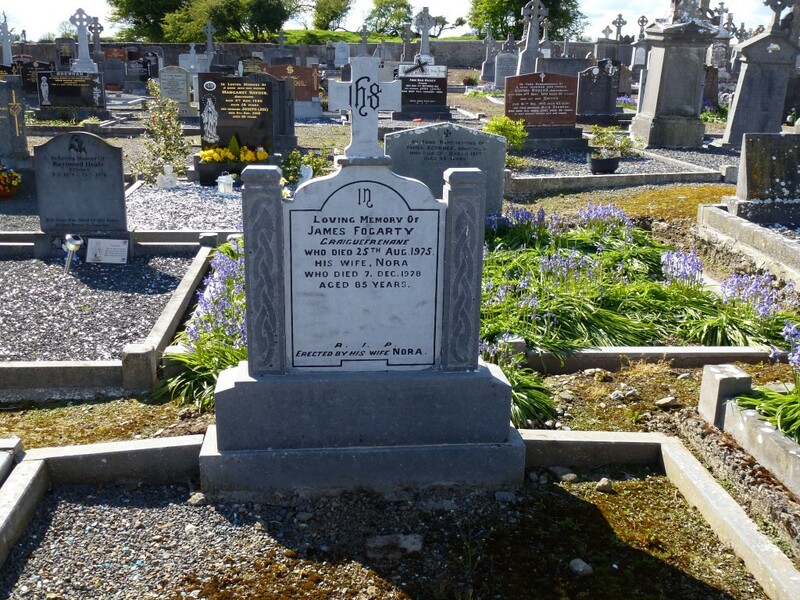 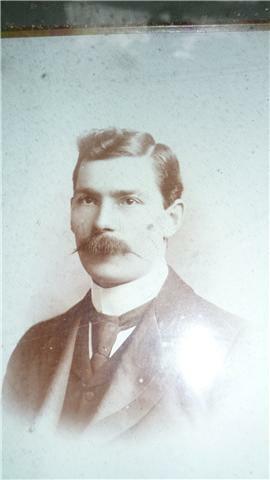 Tom Fanning died in 1897 and is buried in Loughmore Cemetery. 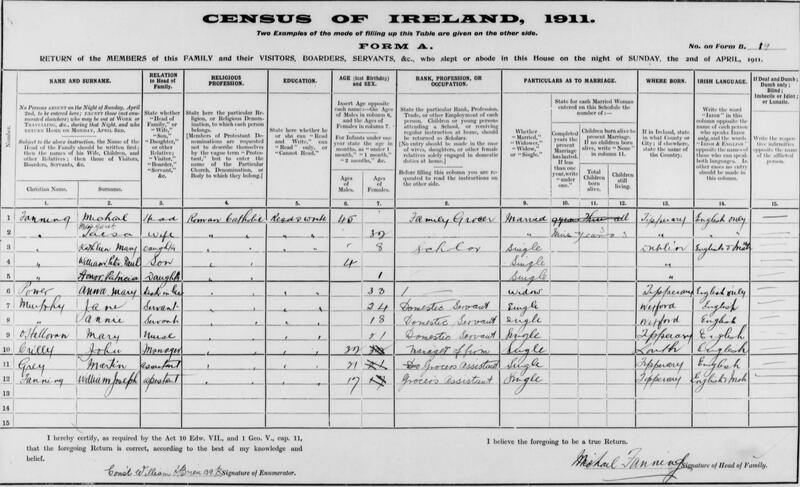 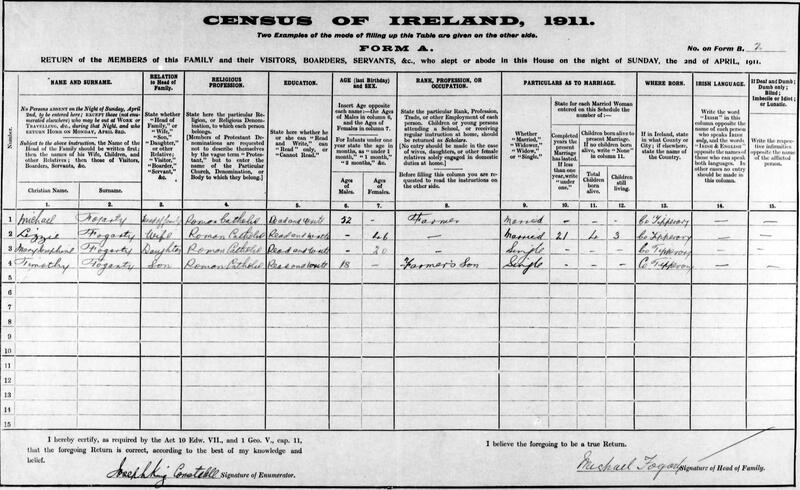 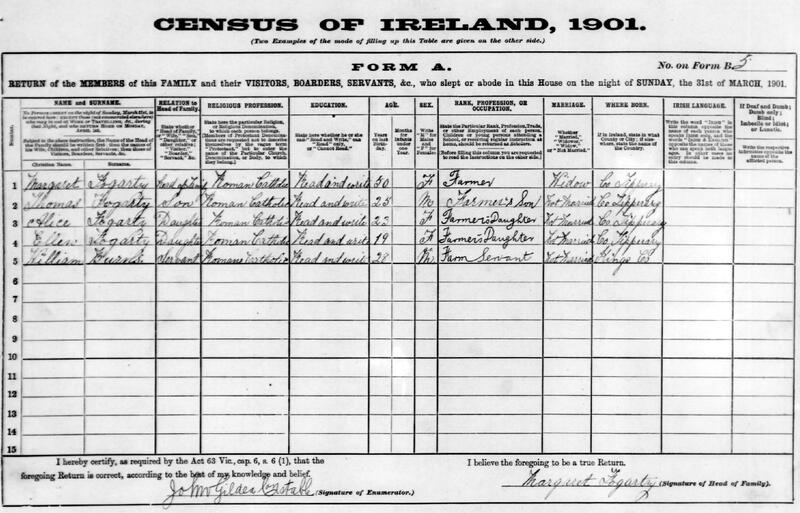 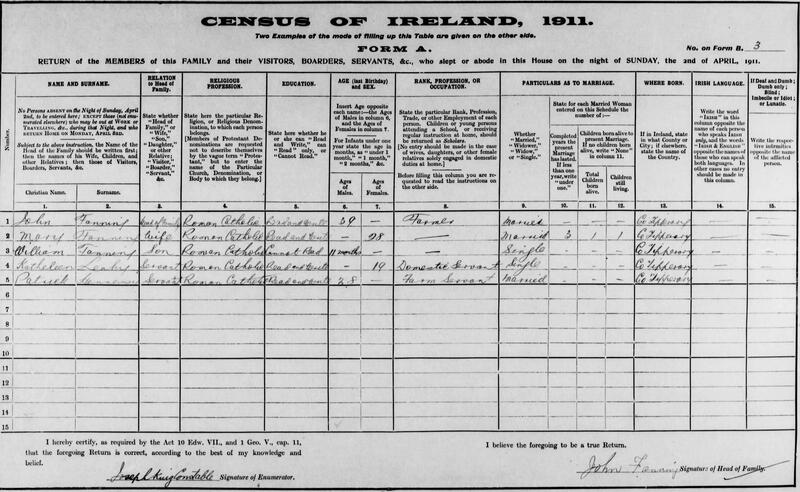 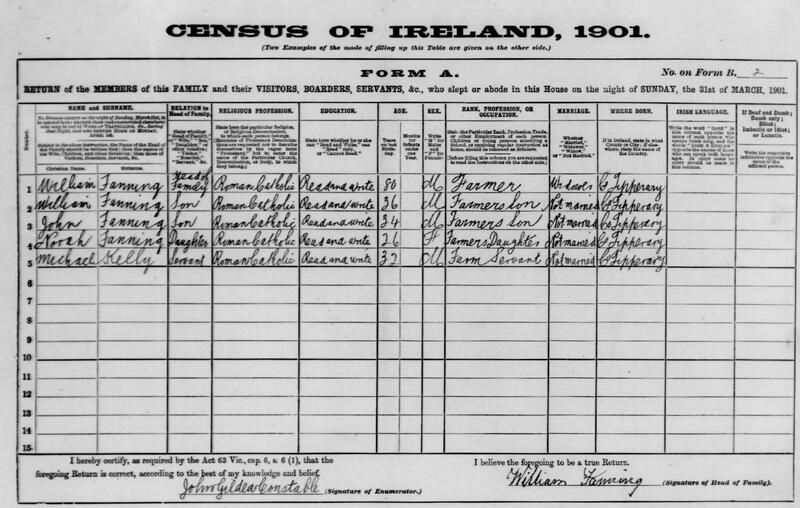 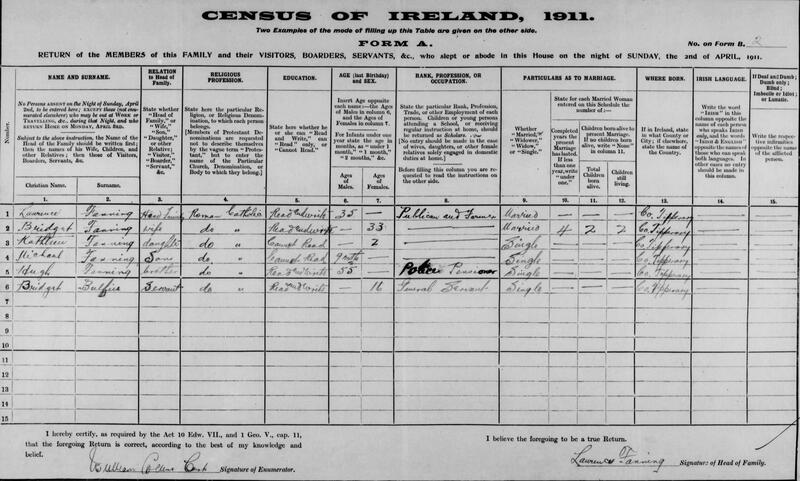 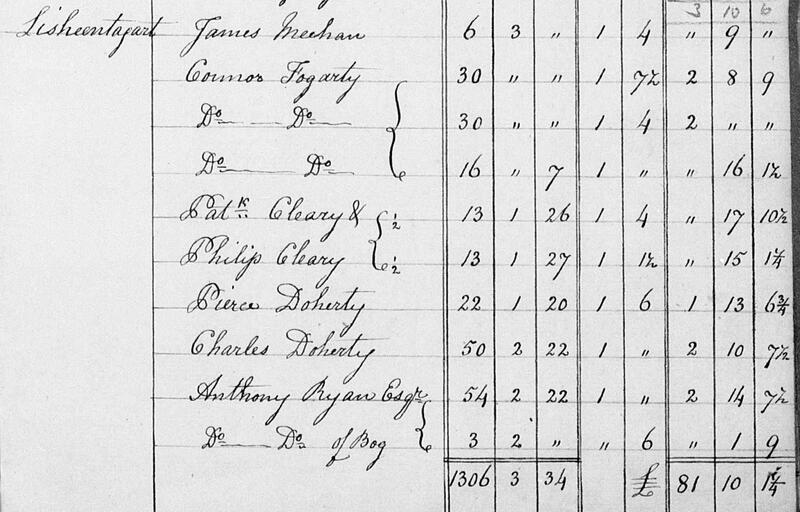 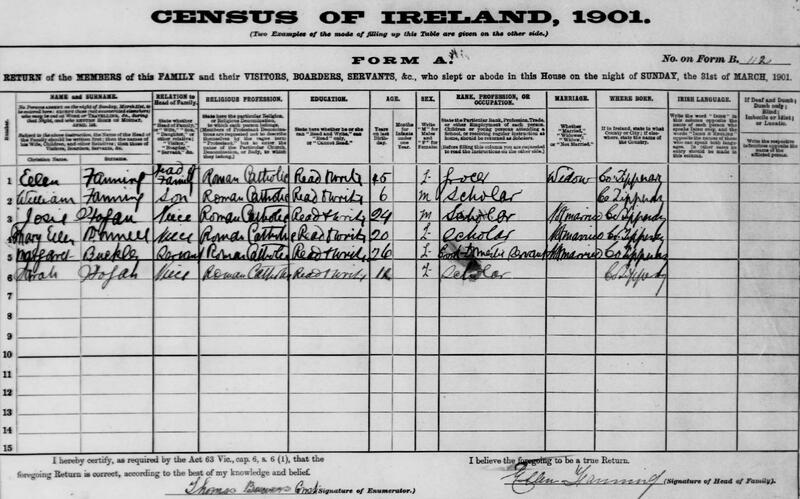 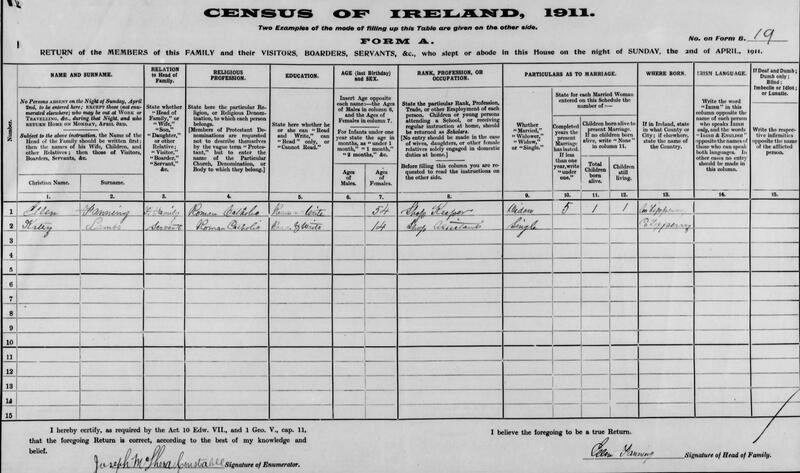 Ellen is listed on the 1901 Census at Quarry St Thurles as a grocer. 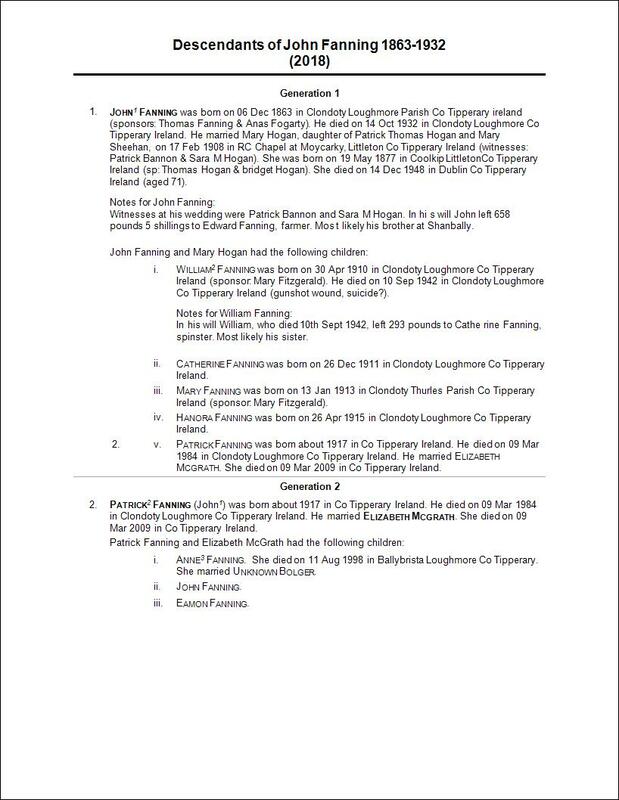 She is age 45. 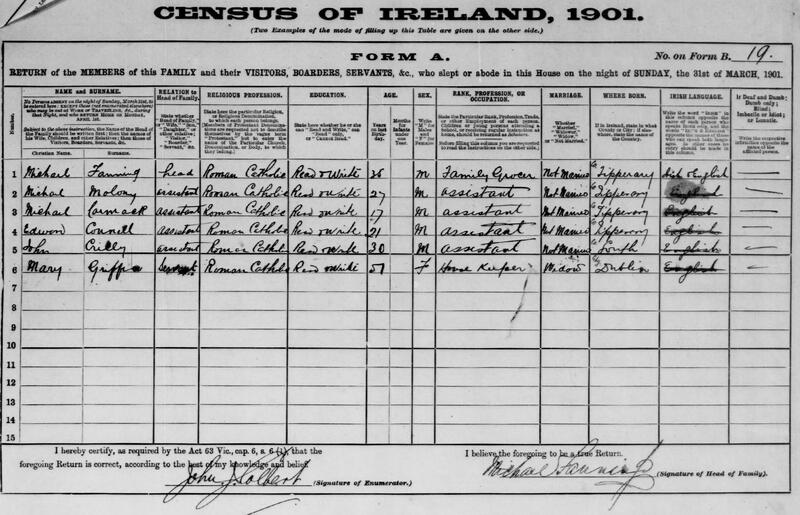 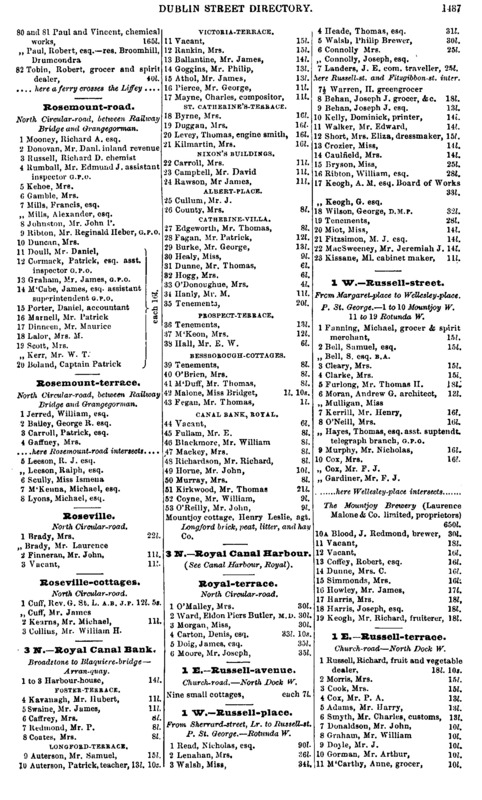 In the household there are her nieces Sarah Hogan age 14 and at school, Josephine Hogan age 24 and a scholar and Mary O’Donnell age 20 and also a scholar. 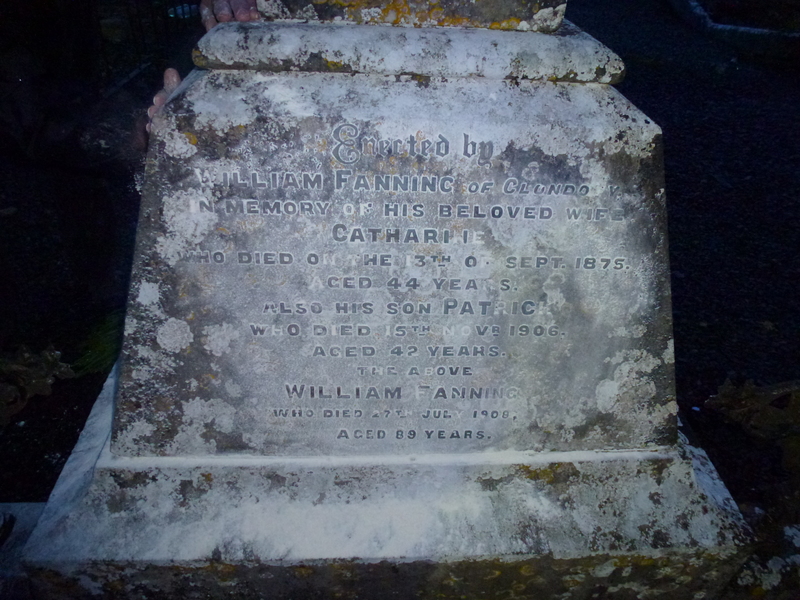 She has a son William Fanning aged 6. 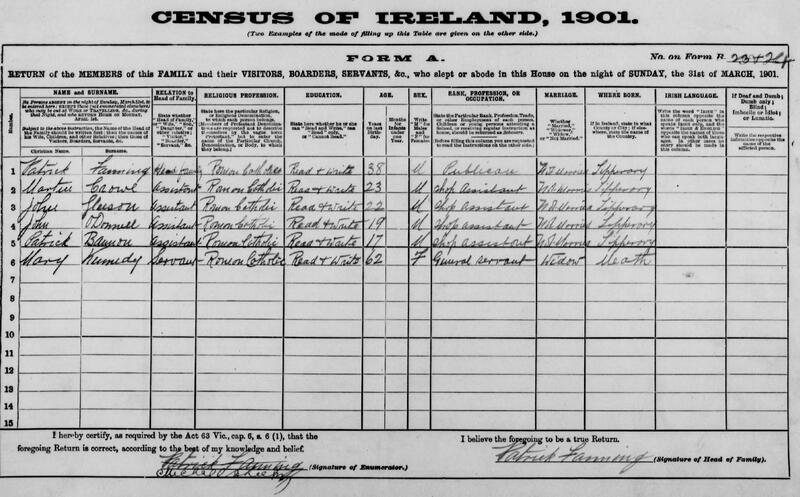 On the 1911 Census she is living with a servant who is a shop assistant. 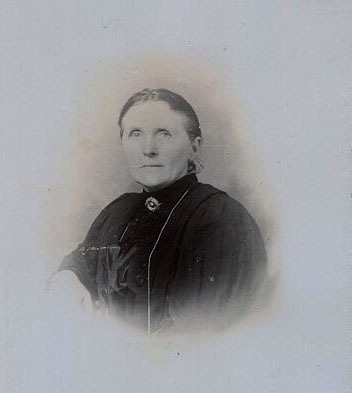 Ellen is described as a widow with one living child and her marriage as lasting five years.